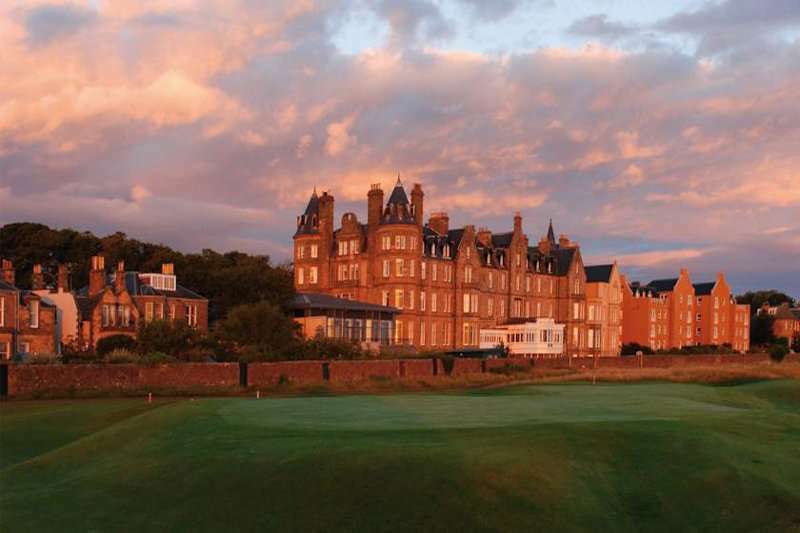 Situated on the East Coast of Scotland, just nine minutes' walk from the beach and overlooking North Berwick Golf Club sits the brilliant four-star Macdonald Marine Hotel and Spa. 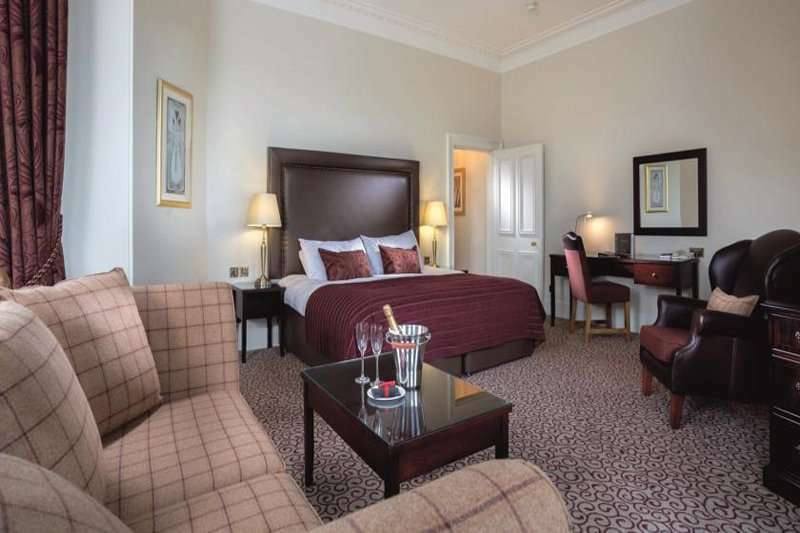 This hotel set in an impressive Victorian property offers spacious accommodation with 83 unique bedrooms and excellent facilities within the hotel. 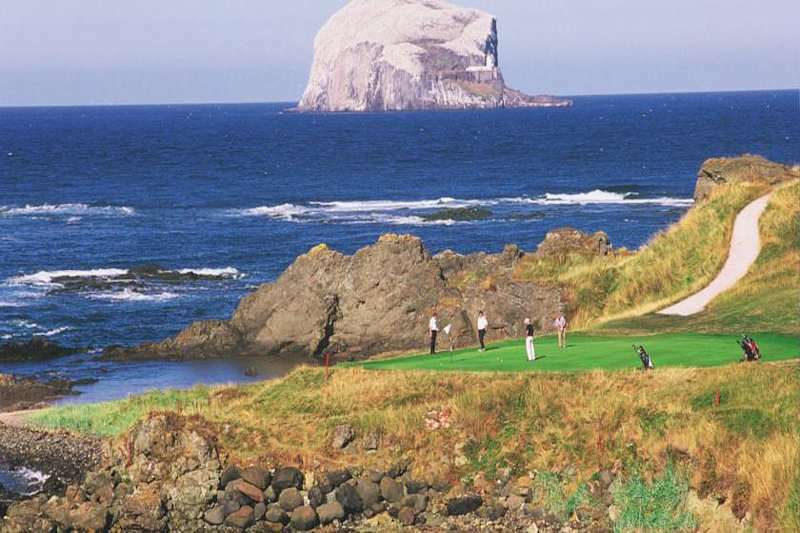 The Macdonald Marine Hotel and Spa boasts an ideal location for a golf holiday as it is located in the heart of East Lothian's famous golfing coast just 40 minutes' drive from the centre of Edinburgh and just a few minutes' walk from the sandy beaches of North Berwick and North Berwick's train station. 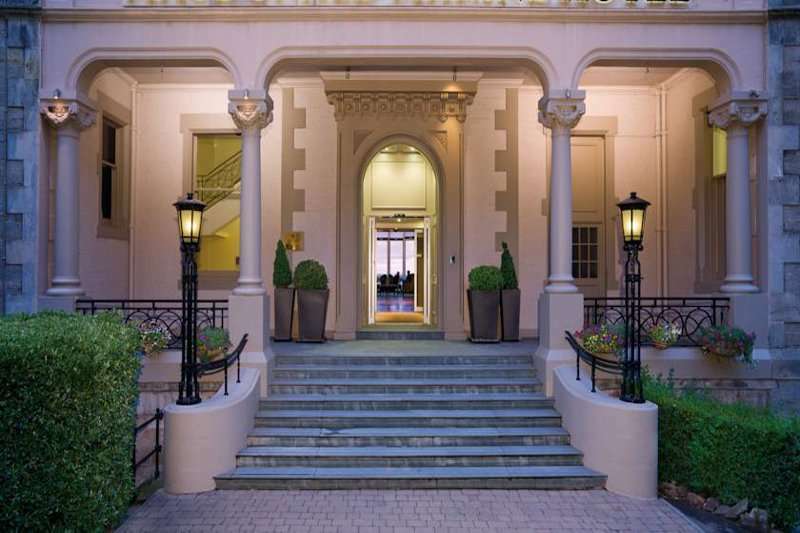 Whilst you are not out exploring the local area or venturing into the lively city of Edinburgh, you can enjoy relaxing at the hotel's spa. 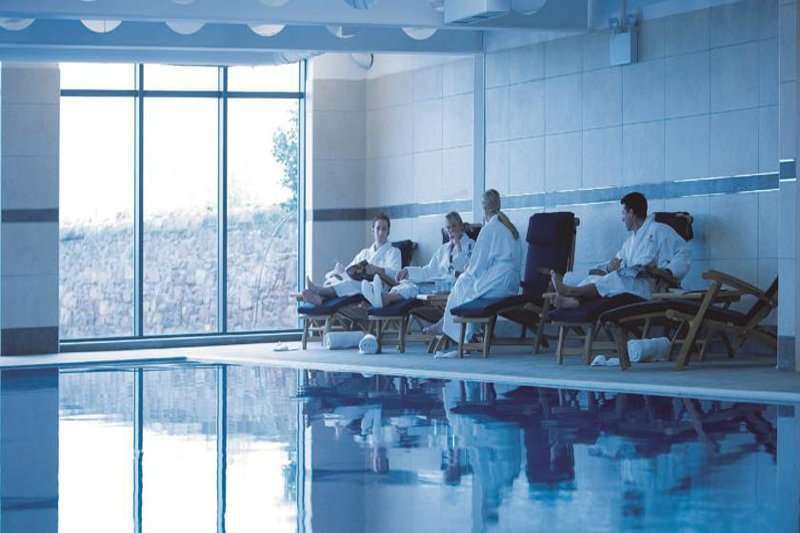 The spa features an indoor swimming pool, a thermal suite, a hydro pool and a fully-equipped gym. 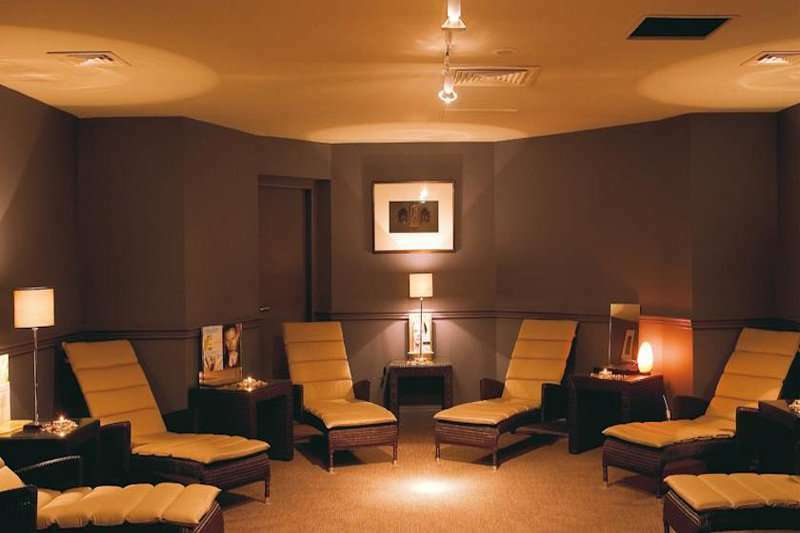 You can choose from a range of fitness classes or health and beauty treatments. 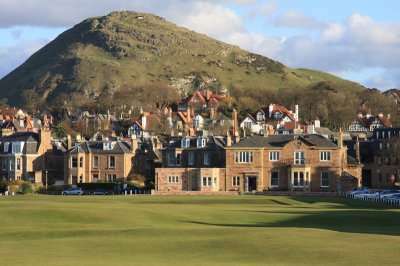 If you are looking for a great hotel with individual guest rooms, an award-winning restaurant and a great location with some excellent golf in the close vicinity including The Glen Golf Club and North Berwick Golf Club then this is the perfect place for your next golf break. 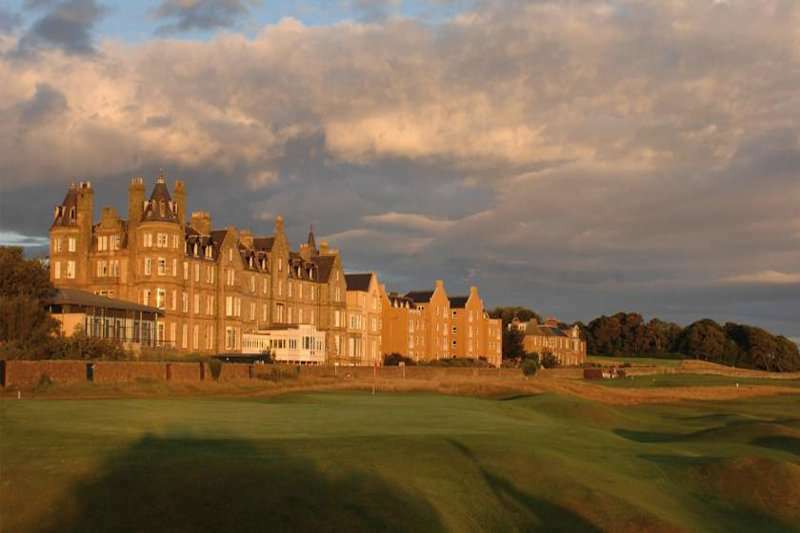 The four-star Marine Macdonald Hotel and Spa boasts a brilliant location, excellent service and great facilities including extensive conference facilities and a well-equipped spa. 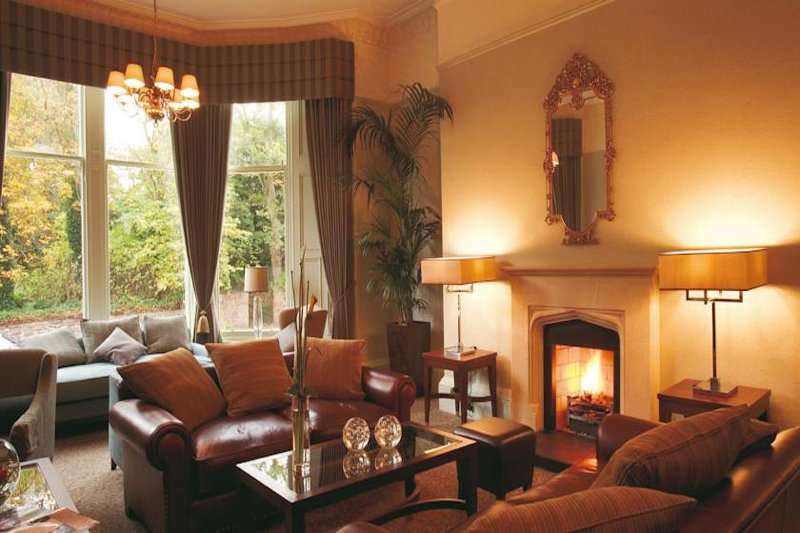 The hotel boasts 83 unique guest rooms situated within this impressive Victorian property and each of them boasts original Victorian features like high ceilings and large windows. 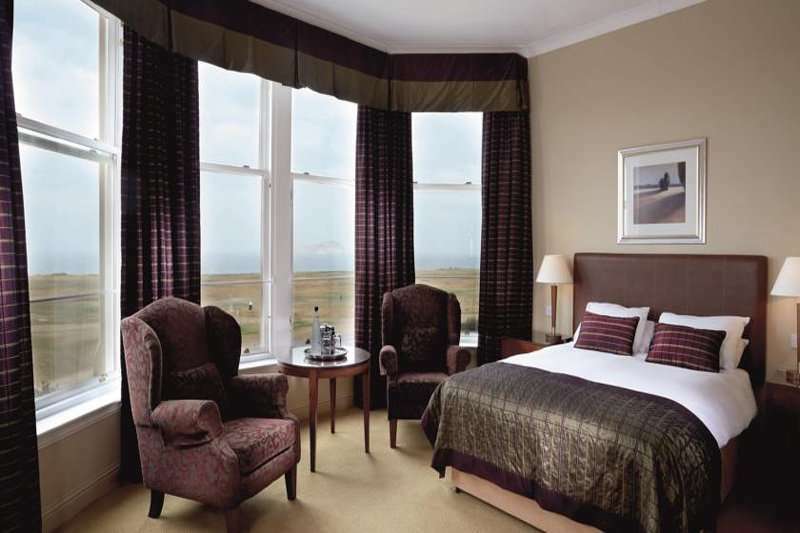 Each of the rooms features all of the amenities that you would expect from a hotel of this standard including complimentary Wi-Fi, a hairdryer and a flat screen TV as well as tea and coffee making facilities. Due to the hotel’s location, you are never far from somewhere brilliant to eat and drink but there is a fantastic restaurant within the hotel if you prefer to dine in. The 2 AA-Rosette Craigleith Restaurant offers you a fine dining experience with dishes created using fresh local produce. 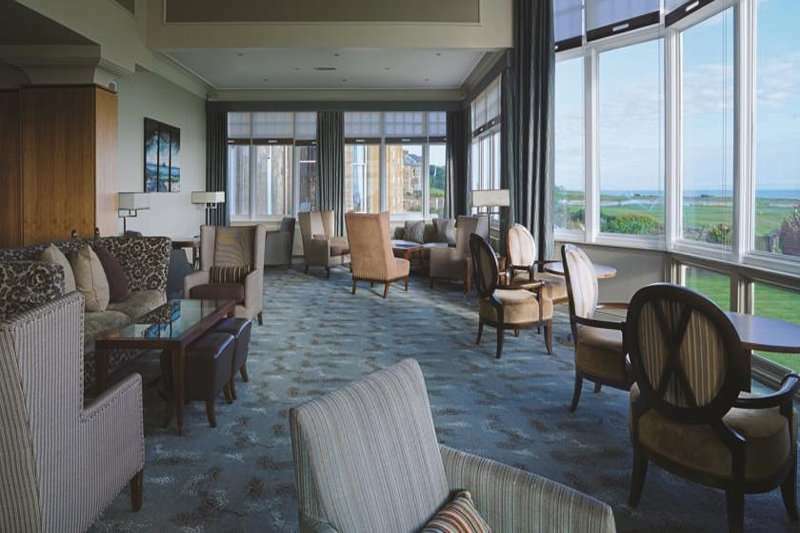 The Links Bar and Lounges at Macdonald Marine Hotel and Spa offers you a stylish and relaxing environment overlooking the golf course and out towards Bass rocks to relax and unwind in whilst enjoying a bar snack or light lunch. 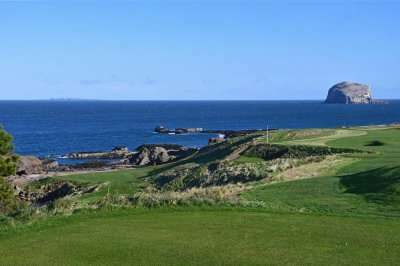 With excellent service and facilities as well as a great location, this is the ideal destination for your next golf escape to Scotland.